On the 15th of May the UN career day was held at the university. 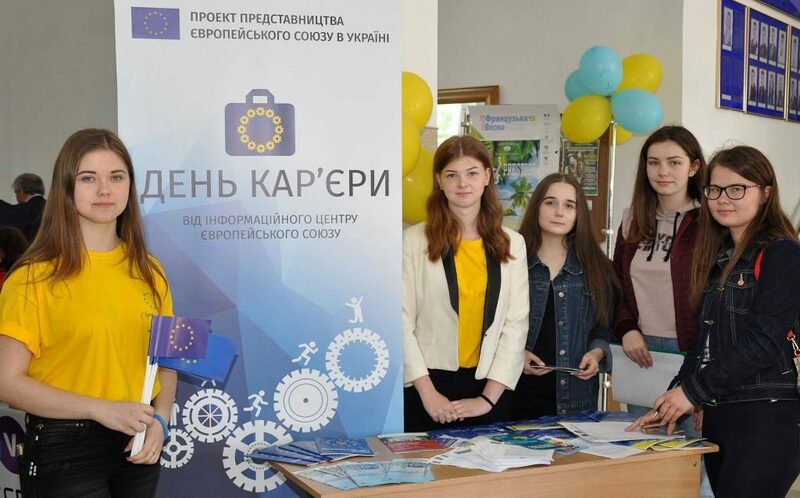 It was organized by the Informational centre of the UN of the Vasyl Stefanyk Precarpathian National University. The students, the representatives of the local authorities, local employers and the representatives of the home and foreign companies took part in the occasion . This occasion is held annually and the goal of it is to inform the young people more about their integration into the European space. The gathering was opened with the speech of the head of the informational centre Natalya Marchuk. The rector of the university presented his speech as well mentioning the fact that a great number of our graduates get successfully employed owing to good practical skills. The presentations of the companies and organizations with the active participation of the employers gave the students good opportunities to find good vacancies, to get good practice, to try some educational programs and even to get an interview. The services for the prospective employees were presented by a number of companies, among which were «The Beauty Boutique +», «AISEC», «Business Help consulting agency», «Zoom Support», «Paragraph student space» and others.